As the market for industrial 3D printing continues to grow, industrial goods manufacturers are experiencing the transformative impact of the technology. From reduced lead times to on-demand production and new, innovative approaches to design, 3D printing offers the industrial goods sector a means to achieve greater production efficiency. With additive manufacturing, producing prototypes and end parts becomes a cost-effective reality. Traditional manufacturing requires expensive tooling, which is also time-consuming to produce. For prototypes and end-use components that are to be produced in low volumes, this is not an economically viable process. In this context, additive manufacturing eliminates the need for expensive tooling, therefore reducing the costs involved in manufacturing prototypes and low-volume end parts. Coupled with this, the manufacturing process is typically faster, with prototypes being able to be produced in a matter of hours instead of days or weeks. Shortening product development times in this way allows manufacturers to bring their products to market significantly faster, giving them a key competitive edge. Additive manufacturing affords a level of intricate, complex design that would be impossible to create with traditional manufacturing methods. Particularly with tools such as topology optimisation and generative design, design engineers can optimise the geometry of a part to create lightweight parts whilst maintaining the strength and functionality of the part. The resulting part can have a complex lattice or honeycomb structure and a weight that is significantly lower than a traditionally manufactured counterpart. Additionally, additive manufacturing enables the production of multi-piece assemblies as a single, consolidated part, considerably simplifying the assembly process. Often lauded as one of the main benefits of 3D printing, the possibility of on-demand manufacturing is particularly beneficial for industrial goods manufacturers. This is especially the case when it comes to spare parts. 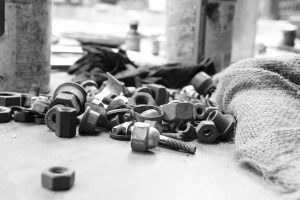 Currently, many manufacturers and spare parts suppliers face the challenge of managing their spare part inventories and predicting the demand for parts. This can often lead to excess inventory. Additionally, maintaining warehouses of spare and obsolete parts can become a financial and logistical nightmare for OEMs. Supply chain inefficiencies, coupled with costly warehousing, therefore make the shift to on-demand manufacturing a welcome alternative. By using additive manufacturing, industrial goods suppliers can achieve better agility in meeting customer demands and delivery times – while simultaneously driving down storage costs. The wider adoption of additive manufacturing printing could transform the industrial goods supply chain by moving production closer to demand location. And since 3D printing production essentially requires digital files, instead of physical warehouses, companies can create digital inventories of their parts (which is possible with our digital part catalogue). Additive manufacturing makes mass customisation of goods a real possibility. Thanks to the technology, custom-made components for a variety of equipment and machinery can be manufactured faster and more cost-efficiently. 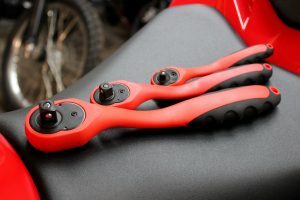 One example is laboratory hardware: perhaps an unusual use case, lab equipment often requires sophisticated tools that need to be tailored to specific equipment and instruments. Using additive manufacturing, the cost of customised 3D printed components for lab equipment can drop by as much as 97%. Increasingly, industrial goods manufacturers are looking into 3D printing as a way to produce cores and moulds for casting and injection moulding. Creating cores and moulds using traditional manufacturing methods can be a highly expensive and prolonged process. 3D printing, in contrast, offers more efficient production of cores and moulds without investing in expensive tools. For example, Voxeljet asserts that 3D printing can be used to save 75% in sand casting costs. In this example, instead of manufacturing individual pieces of a core for a turbine blade, the core can be 3D printed as a single piece, reducing costs and significantly shortening lead time. Using 3D printing to produce manufacturing aids, such as jigs, gauges and fixtures, creates new possibilities for improving production efficiency. Research conducted by Stratasys shows that 3D printed jigs and fixtures are cheaper to produce and store. This, according to Stratasys, can save 40% to 90% lead time and up to 90% of company expenditure By using 3D printing in the industrial goods sector, manufacturers can not only decrease costs for tooling production, but also speed up changeovers and setups, helping production to run more smoothly. Additive manufacturing opens up an opportunity for producing spare parts in a quick and affordable way and with reduced need for inventory. Thanks to on-demand 3D printing, industrial goods manufacturers can now bypass costly storage of lower demand spare parts by producing them when needed. Industrial equipment giant Volvo Construction Equipment (CE) has already jumped at the opportunity of 3D printing spare parts on demand, benefiting from quicker delivery, reduced inventory and greater operational agility. Major industrial goods manufacturers are already investigating additive manufacturing as a way to produce end parts. For example, Caterpillar, a leading manufacturer of specialised machinery, is using 3D printing to produce low-volume components like ball check valves, grommets, and fuel mixers. Additive manufacturing could also potentially be suitable for larger components. Last year, Project AME (Additive Manufactured Excavator) hit the headlines after it unveiled the world’s first functional excavator – accomplished with 3D printing technology. 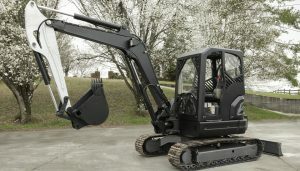 The Oak Ridge National Laboratory, in collaboration with several other associations, designed, produced and assembled three components for the excavator using AM: the cab, the hydraulic arm and a heat exchanger, demonstrating a wide range of 3D printing applications for industrial equipment. With a range of advantages, from shortened time-to-market to reduced production costs, the market for 3D printing within the industrial goods sector only looks set to grow. The innovation and continued advancements in the technology should, therefore, be an extra incentive for industrial goods manufacturers to think about implementing the AM strategy for their businesses. How is 3D printing transforming the spare parts industry?